Summer is a great time for taking tons of happy beach photos! 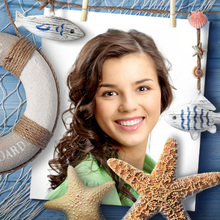 This virtual beach themed photo frame is a perfect way to decorate your vacation pics online with nautical romance! BTW, nautical and marine themes are always on trend. This nautical photo frame with fishes, sea shells and sea stars is a classic decoration solution for summer beach pictures and vacation photos. Using such marine photo frames is like an attempt to 'preserve' that hot summertime spirit of happiness and relaxation on the seaside and to keep it for years. Today, the best way to share your vacation memories with your family or friends is to bring your photos online. 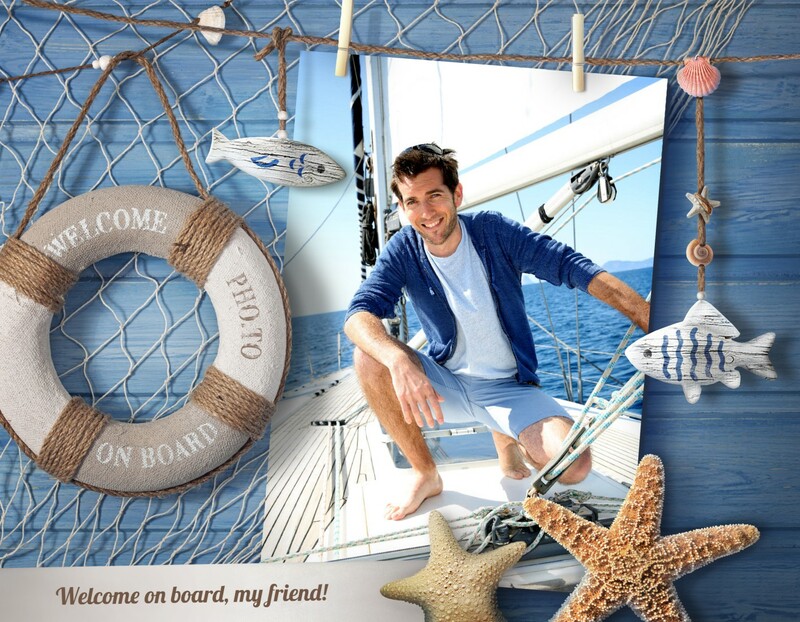 Use creative approach and add free online nautical frames like this photo template from Funny.Pho.to collection. Just upload your best summer picture into this sea photo frame with decorative seashells, fishing nets and a life ring, and you’ll get a cool photo collage that looks like your photo is placed into a handcrafted nautical frame! Sea photo frames are in trend every summer as they add sea romance to any photography! 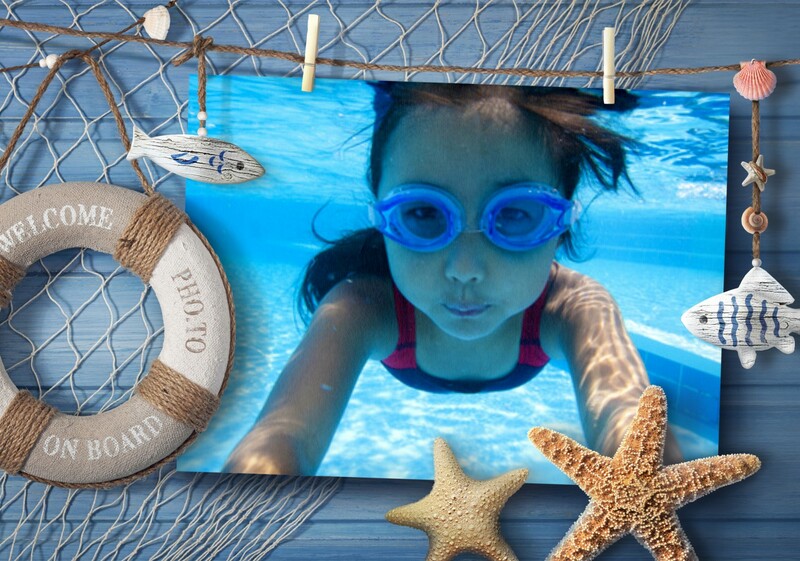 So, take your best beach photos from a vacation, decorate them with free 'Nautical frame' template and get a beautiful sea-themed photo album. Your friends and loved ones will melt with pleasure looking at your creation!